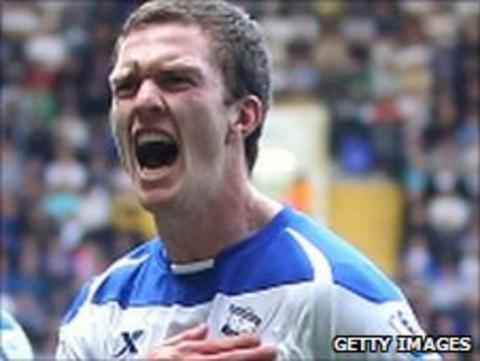 Sunderland have signed Craig Gardner from Birmingham City for an undisclosed fee believed to be about £6m. The midfielder, 24, has penned a three-year deal at the Stadium of Light. He was Blues' top scorer last season with 10 goals in all competitions, and helped the side win the Carling Cup in February before they were relegated to the Championship in May. Gardner has joined Ji Dong-won, Connor Wickham, Seb Larsson and Keiren Westwood in moving to Wearside. Gardner told SAFC TV: "It's unbelievable, to be honest. As soon as I found out Sunderland were interested, it was a no-brainer. "Obviously, I have heard so much about [manager] Steve Bruce and his backroom staff and how good a chairman Niall Quinn is. "It's such a massive club and their ambitions for this season meet my ambitions, and it was too good to turn down." South Korea striker Dong-won completed his transfer from Chunnam Dragons to Sunderland for an undisclosed fee just hours before Gardner sealed his move on Thursday. Dong-won, 20, is the second striker to join the Black Cats in as many days following 18-year-old Wickham's £8.1m switch from Championship outfit Ipswich. Sunderland boss Steve Bruce signed goalkeeper Westwood and winger Larsson from Coventry and Birmingham respectively on free transfers. Gardner believes the signings demonstrate the club's desire for success. "It means that the club wants to go places," he added. "Obviously, we want to finish as high up the table as we can. We want to be in Europe next year and it's a great task to go and chase. "It's a good goal for us. We can go and do it, and I am sure we will."